In this fast growing world, we are facing reality that most of companies today very selective of put their capital on something new, especially for something that is not their core business. This is my point of view from "IT Consultant". 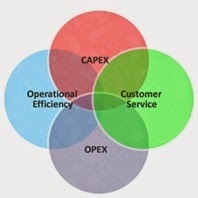 They (companies) are prefer opex to capex for their IT investment, whether it is software or hardware. This is why many ISV in Indonesia are compete to grow their data center and offer "Cloud" to their clients. The clients will improve their efficiency and reduce man power, but still could running their main business and remain improve their customer satisfaction. 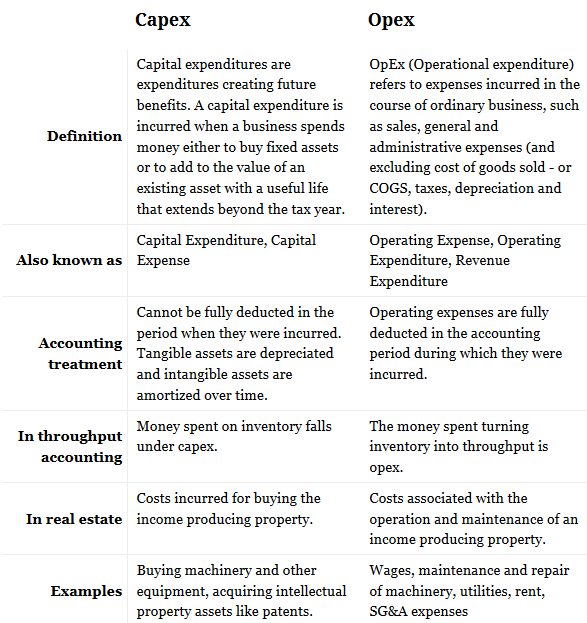 By the way... What is capex and opex? Below, you will find the article from diffen is very useful. Happy reading. Capex (or Capital Expenditure) is a business expense incurred to create future benefit i.e. acquisition of assets that will have a useful life beyond the tax year. e.g. expenditure on assets like building, machinery, equipment or upgrading existing facilities so thier value as an asset increases. Capital expenditures include acquiring fixed assets (tangible, e.g. machinery or intangible e.g. patents), fixing problems with an asset, preparing an asset to be used in business, restoring property so that value is added, or adapting it to a new or different use. Operating expenditures include license fees, maintenance and repairs, advertising, office expenses, supplies, attorney fees and legal fees, utilities such as telephone, insurance, property management, property taxes, travel and vehicle expenses, leasing commissions, salary and wages, raw materials. The crux of the matter lies in the way these expenditures are accounted for in an income statement. Since capital expenses acquire assets that have a useful life beyond the tax year, these expenses cannot be fully deducted in the year in which they are incurred. Instead, they are capitalized and either amortized or depreciated over the life of the asset. Intangible assets like intellectual property (e.g. patents) are amortized and tangible assets like equipment are depreciated over their lifespan. Operating expenditure, on the other hand, can be fully deducted. "Deducted" means subtracted from the revenue when calculating the profit/loss of the business. Most companies are taxed on the profit that they make; so what expenses you deduct impacts your tax bill. What is preferred: Capex or Opex? Investors often look not only at the revenue and net income of a company, but also at the cash flow. The reported profit, or net income, can be "manipulated" via accounting techniques and hence the idiom "Income is opinion but cash is fact." Operating expenses directly reduce the Operating Cash Flow (OCF) of the company. Capex does not figure in the calculation of OCF but capital expenditures reduce the Free Cash Flow (FCF) of the company. Some investors treat FCF as a "litmus test" and do not invest in companies that are losing money, i.e. have a negative FCF. Amazon is an example of a company with very high capital expenses. 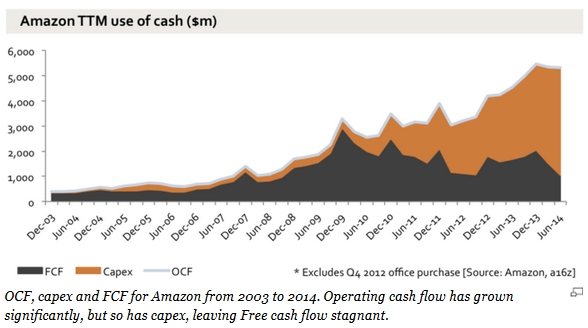 The following chart, by Benedict Evans, shows the growth in OCF, capex and FCF for Amazon since 2003.